The Frisian languages are a closely related group of Germanic languages, spoken by about 500,000 Frisian people, who live on the southern fringes of the North Sea in the Netherlands and Germany. 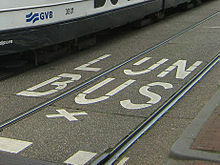 The Frisian languages are the closest living language group to the Anglic languages; the two groups make up the Anglo-Frisian languages group. 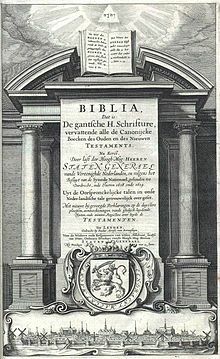 However, modern English and Frisian are not mutually intelligible, nor are Frisian languages intelligible among themselves, due to independent linguistic innovations and foreign influences. 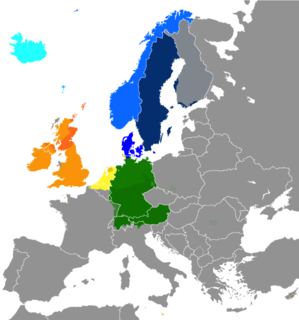 The Anglo-Frisian languages are the West Germanic languages which include Anglic and Frisian. 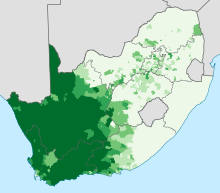 Afrikaans is a daughter language of Dutch and—unlike Netherlands Dutch, Belgian Dutch and Surinamese Dutch—a separate standard language rather than a national variety. As an estimated 90 to 95% of Afrikaans vocabulary is ultimately of Dutch origin, there are few lexical differences between the two languages; however, Afrikaans has a considerably more regular morphology, grammar, and spelling.